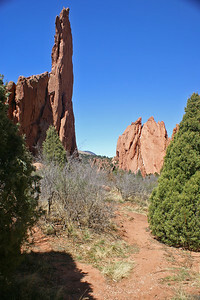 Images mainly of Colorado and New Mexico. Click first image to browse gallery. 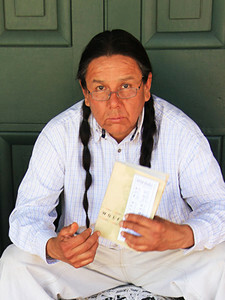 Native American artist Anthony Begay with his sculptures. 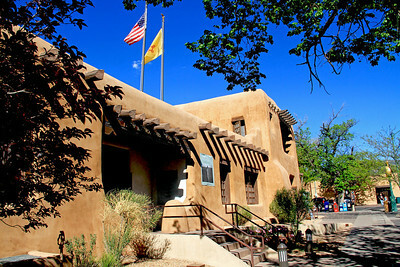 Displays his art at Governor's Palace, Santa Fe, NM. An unforgettable ride from Chama, NM to Antonito, CO aboard the Cumbres & Toltec Railroad. 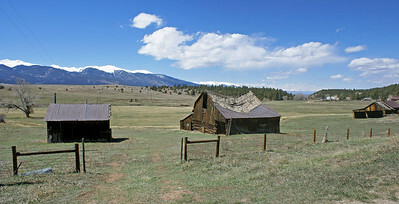 Abandoned Small Ranch. 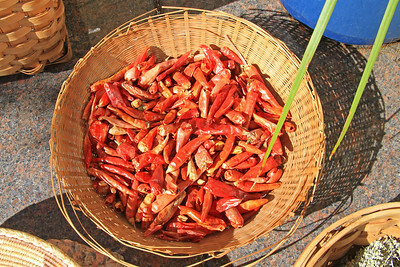 Near Westcliffe, CO.
Pepper Display. 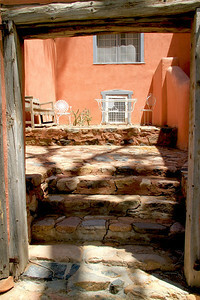 Store in Santa Fe, NM. 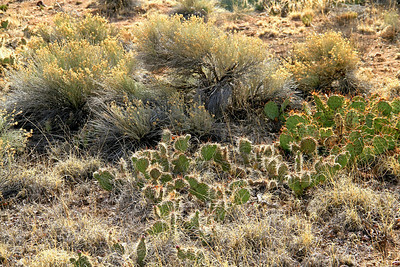 Cactus Garden, Santa Fe, NM. 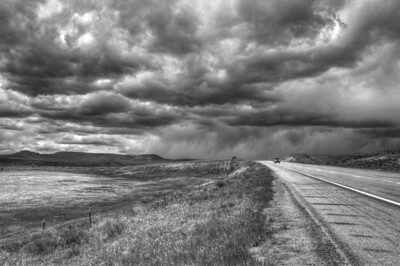 Running from the Storm. 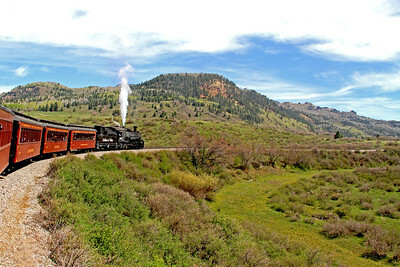 Route 50, Colorado. 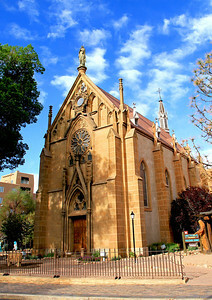 Loretto Chapel. Downtown Santa Fe, NM. 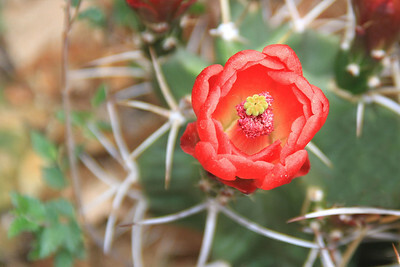 Red Hedgehog Cactus Flowers, Santa Fe, NM. 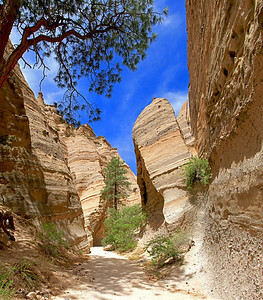 Formations at Tent Rocks National Monument, near Santa Fe, NM. New Mexico Museum of Art. 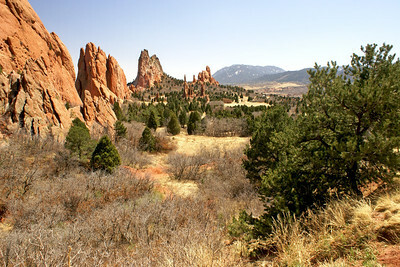 Santa Fe, NM. Sitting Area at the Audubon Trail Center. Santa Fe, NM. 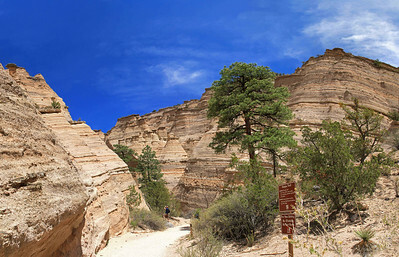 Formations at Tent Rocks National Monument. Near Santa Fe, NM. 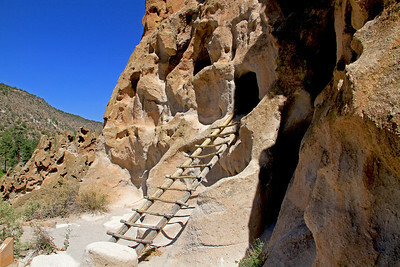 Pueblo Dwellings at Bandelier National Monument State Park, NM. Abandoned Ranch. Near Westcliffe, CO. Sangre de Cristo Mtns in background.